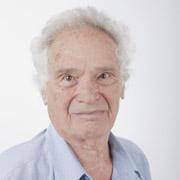 Professor Dan Amir, the chairman of Selah’s board of directors, is a professor emeritus of mathematics at Tel-Aviv University. He served for four years as special dean for immigrant students, and for four years as the university rector. He was chairman of the board of the scientists committee of the Israel Public Council for Soviet Jewry, where he was a key initiator of the Giladi and Kamea projects for immigrant scientists. He also served as chairman of the Israel Public Council for Soviet Jewry.